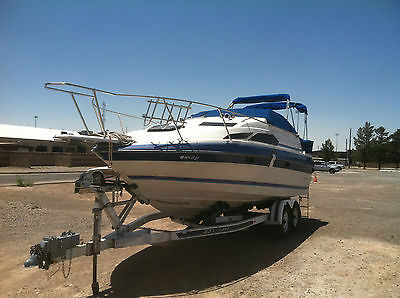 1984 Bayliner ENCOUNTER 1984 25' Byliner Encounter cabin cruiser. 290 Horse power I/O Volvo Penta engine with dual prop. 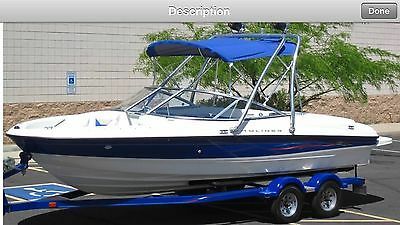 This boat is listed at $2995 or just $1000 with a one year slip rental! 2014 Bayliner 185 Bowrider Yeah, the 185 Bowrider has won design awards, thrilled thousands and brought families closer together. But its not quitting at that. With two seating configurations to choose from, the optional Flight Series Package, a sporty dash design, three eye-catching color choices and storage for all your water toys, the 185 is bent on pleasing everyone. Key FeaturesAdd the Flight Series Package to the 185 for an all-in-one upgrade that gets this Bowrider ready wakeboard.Innovative motor box table on the Standard Seating Configuration affords a stable place for family lunch on the water.Stow everything from life jackets to ski gear to water toys in the cockpit's deep in-deck storage locker.With optional Sport Seating, bucket seats conveniently swivel 180 degrees to face aft.The hide-away, pull-down swim ladder's contoured steps prevent slipping when entering and exiting the water. 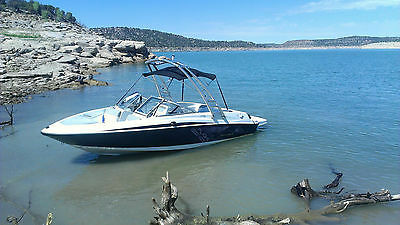 2013 Bayliner Bowrider BR175 Bought this boat new from the local dealer in June 2013. Has been a great boat for us with no issues. The out drive was upgraded by the dealer for better hole shot when pulling a tube or wake boarder. Boat has a Monster Wake Tower that was installed at the factory. Also has the large swim deck on the back with folding ladder. Will come with the wake board rack mounted on the tower. Also will come with 3 props for the boat. 1 Prop is the emergency prop and other 2 are 15" and 17" pitch. 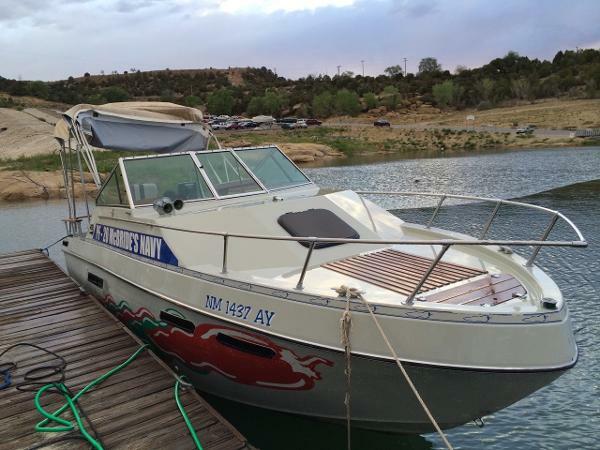 Boat has only been used in New Mexico fresh water lakes. Will come with a boat cover for when its not in use. All seats and carpet are in perfect shape. Boat does have some marks on the outside from where it rubbed at the dock and in its slip. No major scratches. The Hull is fiberglass and covered by Bayliner's Lifetime HULL warranty. 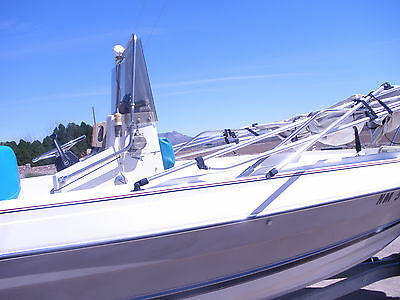 Boat will also come with owners Manuel and all paper work from when we purchased from the dealer. Motor has about 130 hours on it. Is the Mercury 3.0 fuel injected with power steering and tilt control. Was always serviced by our dealer. Currently winterized and covered for the season. Great Family boat. Seats 7 people comfortably. Has lots of storage and places to store life vests and water toys. Does have a black matching Bimini Top in perfect shape as well. You will love this boat! Trailer has good tires and a fold-a-way trailer hitch. All lights and plug work. 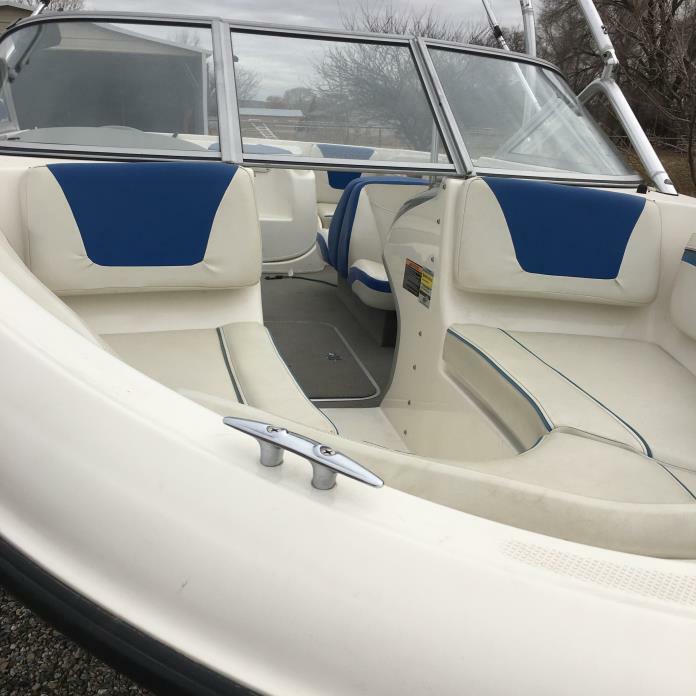 AM/FM Radio and Speakers Lockable Glove Box Lots of Cup Holders Swim Deck with Folding Ladder Wake Tower Bimini Top 3 Props Boat Cover Power Steering Tilt Motor Control If you have any questions please contact me. I am willing to transport the boat to you for extra cost to cover my fuel. Boat is Financed and Bank has Title. Bank will mail Title to you or your bank if you finance. Boat and Trailer have Titles. Please contact me with any questions about the boat or trailer. 2006 Bayliner BR205Hull ID number: BIYF75CXB6062006 Karavan trailer with tandem axle and split tongueNew tires in November 2014New impeller, yoke, gimbal, bellows, and u-joints in April 2015Spare tire and rackExtended swim platformWakeboard towerWakeboard speakersWakeboard racks, ski rack5.0 liter v8Installed in 2014 was 800 watt amp, 4 speakers and 10" sub (added to the existing 400 watt amp and 2 tower speakers)2 batteries with battery isolatorCustom fit cover with snaps - towable cover Stored in dry storage, waxed and dried each use Great family boat that has been used 10-15 days per season.